On this day, September 5, in 1927, Oswald the Lucky Rabbit first hopped onto movie screens. If you want to visit Oswald in person, he can be found at Disney California Adventure park on Buena Vista Street. For more information about planning a Disney vacation, please contact me. I’m happy to help you! 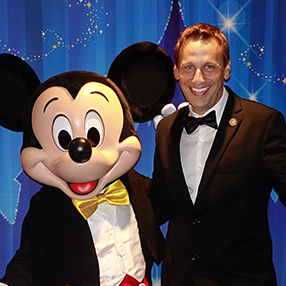 As a former Disney Cast Member and current travel consultant specializing in Disney destinations, I can help make your vacation dreams come true. Sign up for my Email Updates and never miss a special. Also, email me if you have any questions about Disney vacations. I’m happy to help!! !